Are Clowns Still Hired For Birthday Entertainment? 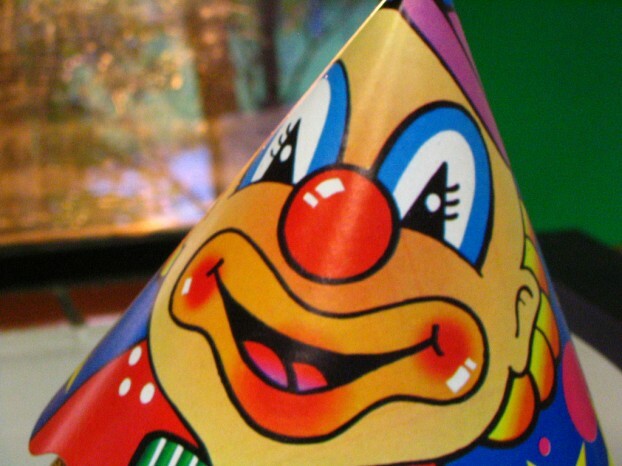 Clowns, once ubiquitous at birthday parties, have steadily lost their allure over the years. For decades, kids and adults alike enjoyed clowns and their antics at circuses, yet their popularity has been waning for some time now when it comes to birthday celebrations. While the idea of a clown making balloon animals and performing simple magic tricks may sound a bit outdated, consider the fact that many clowns are now expanding their birthday party entertainment by including everything from face-painting and temporary tattoos to extreme juggling and even jewelry making. You may still get the balloon animals and magic, but now your kid is more likely to be treated to a wide array of entertainment in conjunction with those traditional classics. Some even come as a package deal with pony rides and bounce houses for a whole suite of services designed to impress the kiddos. While you may still see clowns at very little kids’ birthday parties, the older set has grown up and moved on. They’re too desensitized by video games and scary movies to be content with an innocent clown. Even little kids have a favorite character, such as Dora the Explorer or Bubble Guppies, that they know and love from television. They tend to identify with these specific characters more than a generic clown image. Older kids, no longer content with at-home parties, would rather hold their parties at the movies, laser tag venues, paintball arenas, bounce house places, and bowling alleys. Simple home parties with a fun clown have morphed into over-the-top parties that get more nuanced and expensive each year. Why have we as parents allowed this to happen? Julie Printz of Birthdays Without Pressure acknowledges that some parents have more disposable income these days, but speculates that the root of it is simple guilt. With so many moms and dads both working full time, they worry they don’t see their kids as much and want to overcompensate for that lost time. Another reason, she says, is the competition factor. We as a culture place an importance on competitive parenting, and it’s not just rearing its ugly head at kids’ birthday parties: this phenomenon can also be seen at weddings and bar mitzvahs. Children’s birthday parties are a big business with even bigger expectations, and parents spend billions each year to ensure their kids’ parties go off without a hitch. While simple clowns and princesses were the thing when we were growing up, modern parties are more innovative, with themes ranging from spa parties to Wizard of Oz parties to fairy tale fantasy parties. How can clowns compete with that? Marty Lowell is a freelance writer based in Little Rock, Arkansas. Marty suggests that those preparing for a birthday party in the near future take advantage of the discount codes from http://www.birthdayexpress.com. Image credit goes to Alexandre Berbe. Next story Does The 12-Step Program Actually Work?